Grandmaster Farshad Azad has been a martial artist in various systems for over 40 years. He has received two Hall of Fame Awards and was named Martial Arts Master of the Year. Kwanjanim Azad is the Founder of two systems of martial arts known as Jong Shin Do and Shimkendo, and holds a grandmaster rank in Shaolin Tai Chi Chuan and Sinmoo Hapkido. In early 1990’s he was promoted to Senior Master in multiple styles of Taekwondo. He holds a Master rank in the Filipino fighting art of Modern Arnis and the Korean system of Jungsuwon, with proficiency in a variety of Okinawan, Japanese, Chinese, and South East Asian Arts, Kobudo, Full Contact Kickboxing, Kali, and Muay Thai. He has an international reputation for teaching effective martial arts applications, martial arts philosophy, history, and knowledge. As an executive protection and personal safety expert, he has taught members of law enforcement community for several decades. Plus, he has taught and shared his knowledge with thousands of martial arts enthusiasts, black belts, and masters around the world. Grandmaster Azad believes that all martial artists are members of one family regardless of their styles and abilities. As a young boy in his birth country of Iran, he and his friends liked to kick the ball around after school. Often the ball landed on private properties and it was the boys who ran the fastest that would fetch it. One day it was little Farshad Azad’s turn to get the ball. He went for it, the owner of the property saw him and wanted to make him pay for trespassing. The older man made him come multiple times a week after school to perform different chores around the yard. 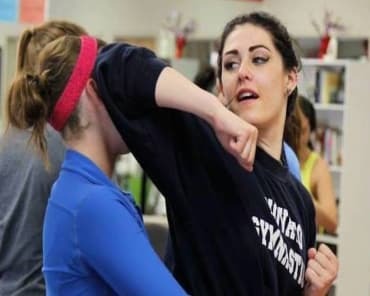 What he came to realize is that the man was teaching him life lessons and even techniques that resemble martial arts. He wouldn’t tell his parents nor his friends, but came to like what he was learning. The next thing you know he became friends with the man. Farshad Azad began learning martial arts privately from this martial artist master. As the only student of his Master, he learned the ways of protecting himself rapidly against others. He soon learned the philosophy of becoming a stronger person by developing his mind and spirit along with the physical body and using his newly acquired power and skills to actually bring more peace between his friends. His passion for martial arts grew rapidly as his martial arts training positively impacted his school work and his general success in life. 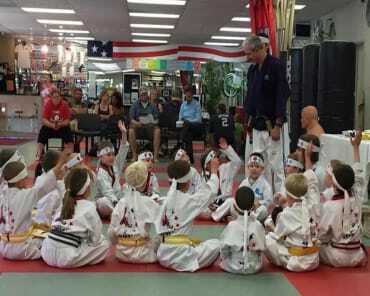 From early on he learned to keep an open mind in martial arts and in life, not only as a sign of respect to various martial arts systems and instructors, but as a way to live his life. He continued training aggressively until he got the opportunity to move to Lawrence, Kansas to continue his pursuit of higher education. 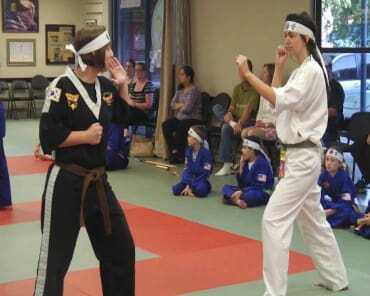 He continued his martial arts studies in the old and new systems of martial arts, as he trained many folks along the way including members of the university’s football team. That is when he started diversifying his knowledge of martial arts even more by training in various arts at the same time. By the time he received his Bachelor of Arts from the University of Kansas (KU), he was a well-accomplished martial arts instructor in various disciplines as well as a seasoned fighter and competitor in the Midwest area of United States. His education took him to California where he received his Masters Degree and became a member of the faculty of the California State University, Chico. In that capacity, he created the first Korean Martial Arts Club and the martial arts curriculum for the Kinesiology Department, where he teaches as a lecturer and faculty member. Grandmaster Azad is also the founder of Shimkendo, an internal system of martial arts designed much like Tai Chi to restore the energy of the body to a strong state for adult students of all ages, and backgrounds. Grandmaster’s oldest student is 108 years old. He created the art to help adults, especially seniors, to overcome mental, emotional, and physical barriers to further develop better health and quality of life. He developed this art based on years of studying healing arts from Japan, China, Korea, the Middle East, Africa, South East Asia, and Native cultures of America. 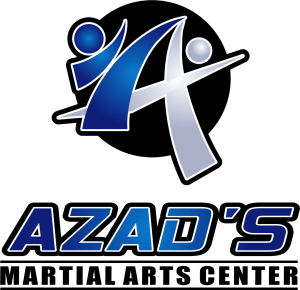 Grandmaster Azad is the founder of Realistic Defensive Tactics (RDT), which was designed and developed over many years to teach tactical and technical knowledge for personal protection, executive protection experts, law enforcement, air marshals, drug enforcement agents, and security personnel. 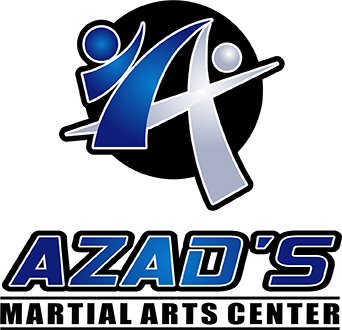 Grandmaster Azad is also the founder and the director of U.S.A. Kardio-Kickboxing Center and Certification program. 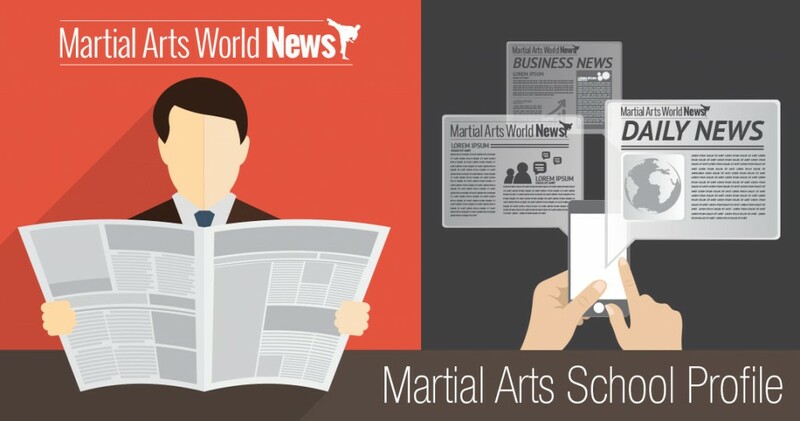 This certification course is designed to teach athletes and personal trainers to develop appropriate techniques and abilities for training folks toward their personal health goals by using martial arts techniques. Grandmaster Azad is truly dedicated to share his love of martial arts to his community. He is compassionate and humbled by what surrounds him. The latest California wild fires cost thousands of families to become homeless. Grandmaster wanted to help and closed his school to turn it into a shelter for some of those families. He provided them with a roof over their heads, beds, clothing, toiletries, food and water –whatever was needed to make people feel comfortable. He takes pride in teaching his students to be caring citizens. His school’s generosity earned him the “Make a Difference Day award,” which is a national contest where thousands of people participate, but only 10 receive the award. His program was called Gimme Some Sole Shoe. He collected (with the help of his students and staff members) hundreds of boots and shoes, which he distributed to elementary school children. Grandmaster Azad’s passion for life is contagious and continues to grow.